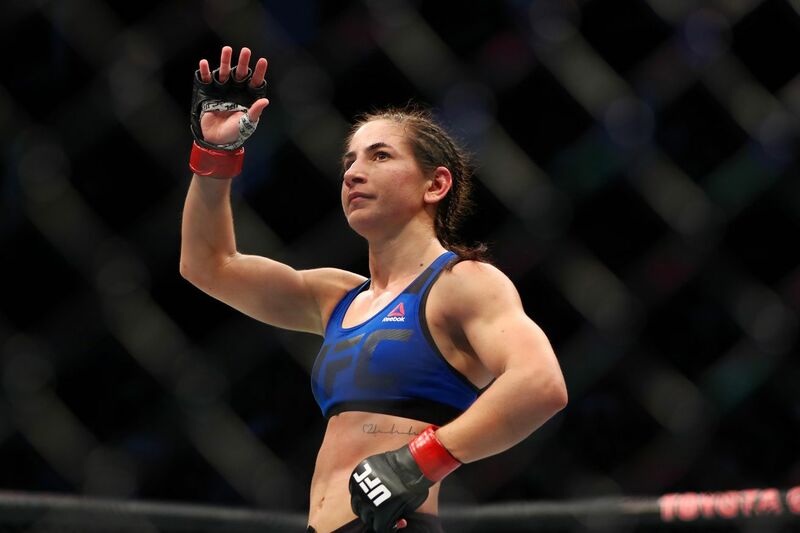 Tecia Torres stepped up on two weeks notice and took full advantage of a grand opportunity earlier tonight (Fri., July 7, 2017) at TUF 25 Finale live on FOX Sports 1 from inside T-Mobile Arena in Las Vegas, when she submitted Brazilian veteran Juliana Lima in the second round via rear-naked choke. It was Torres’ first finish of her 10-fight career and a victory that now improves her UFC women’s strawweight record to 5-1. Check out the memorable submission finish above courtesy of UFC. With this win, Torres moves even closer to a potential title shot in 2018. The former Ultimate Fighter standout will probably have to finish a few more fights in this sort of fashion before she gets her hands on current 115-pound champion Joanna Jedrzejczyk, but “Tiny Tornado” is certainly moving the needle in the right direction. For more TUF 25 Finale results and coverage click here. UFC Wichita Odds: Can Junior dos Santos continue his run to the heavyweight belt?